It’s June 9, 1928, and thousands are gathered at a small airport north of Brisbane. An aircraft by Dutch manufacturers Fokker bearing the name Southern Cross begins to land and is met with raucous cheers of celebration. Sir Charles Kingsford Smith, himself a Brisbane boy, has successfully made the first trans-Pacific flight. It’s the end of a long journey for Kingsford Smith, his co-pilot Charles Ulm, and their crew. From California to Brisbane in a plane barely 14 metres long, they’d spent a total of 80 hours in the air, battled storms, and nearly lost both their fuel and their way. 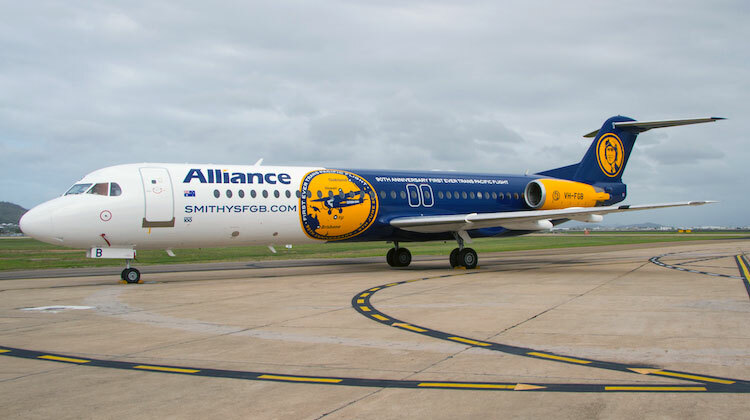 In celebration of the 90th Anniversary of the flight, Alliance Airlines – the world’s largest operator of Fokker aircrafts – has decorated one of its planes in the image of Kingsford Smith and his plane. 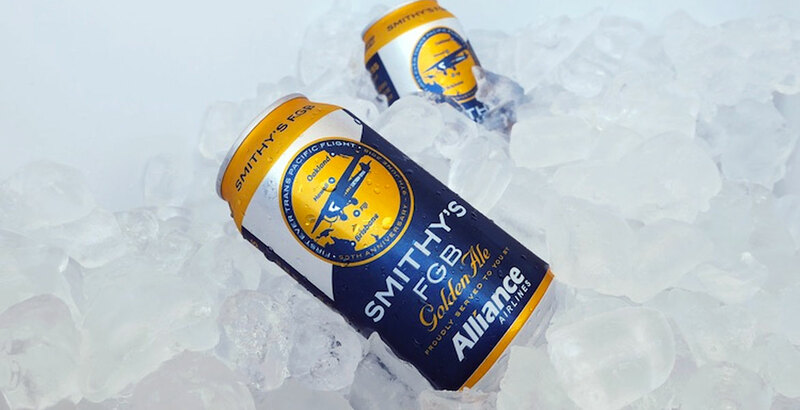 And on board its flights the airline will be serving its own beer, dubbed Smithy’s FGB, brewed for them by Brisbane brewery Newstead. Matt Hobson, Alliance’s General Manager of Aviation Services, says the decision to have its own beer came from a desire to reward its customers. 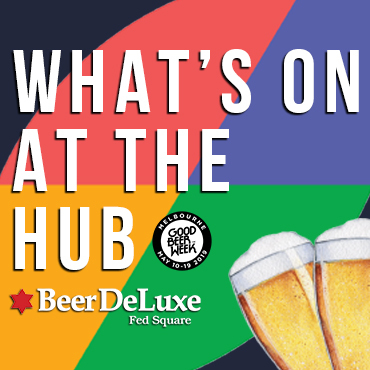 It’s an announcement that follows a growing trend of local breweries securing partnership deals outside craft beer's usual haunts. The Crafty Pint has previously written on Singapore Airline’s decision to serve local beers to its business class customers, Gage Roads securing the rights to pour beer at Perth’s new stadium and a number of other hookups in the sport and entertainment worlds. The specially liveried Alliance Airlines plane. Photos from Australian Aviation. With most of Alliance’s flights servicing the mining and tourism industries, Matt says the company wanted a chance to showcase locally made beer. “It took us a few starts to get in touch with a brewery that was in a position to, and willing, to support us,” he says. Darren Magin, Newstead’s brand ambassador, says brewing the golden ale for Alliance was an easy decision to make, considering how much Newstead has emphasised its connection to the region from day one, not least in the names of its beers and the recently launched cans. Connecting local beer with a local story was key too, according to Matt, particularly when fewer and fewer people aware of the Kingsford Smith story. “Our view is that aviation history in Australia is not well publicised,” he says. “In that era – between the [world wars] – this kind of flight was as big a news story as it could get and 90 years later this achievement is almost forgotten. The new beer is avaiable on all Alliance Airlines flights.